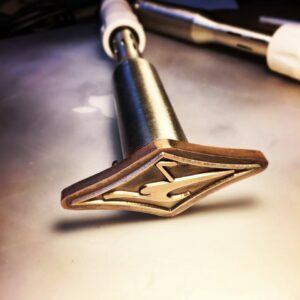 Copper dies are used for many of the same applications as magnesium dies, but copper is stronger and more durable than magnesium, making it ideal for a variety of types of situations. Copper dies are used in place of magnesium dies when a certain impression length is exceeded. 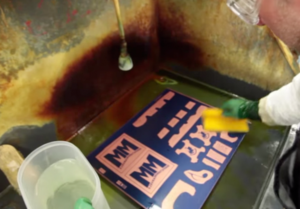 This will vary depending on the type of substrate you are stamping on. 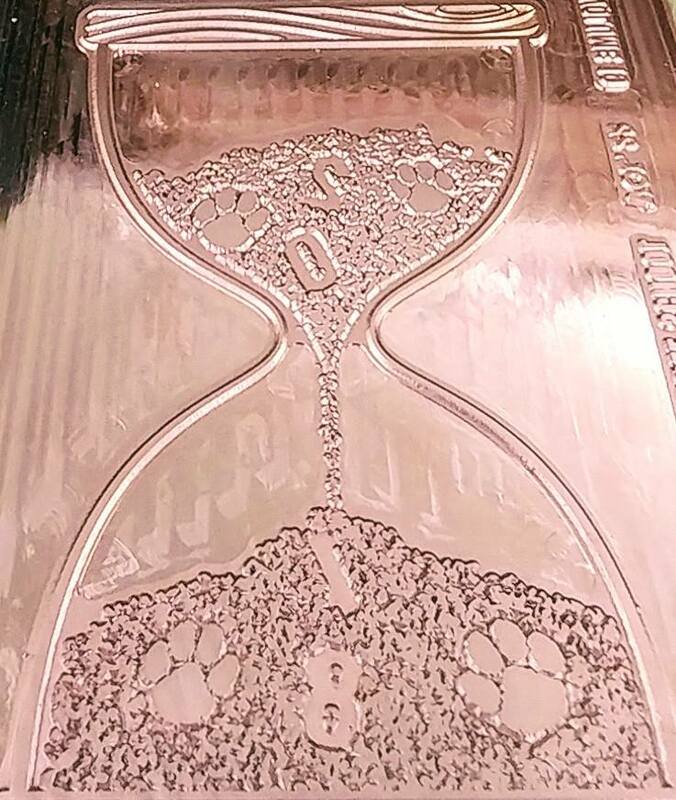 Press runs of a million or more foil stamping impressions can be achieved with a photoengraved copper die. Copper is an excellent heat conductor and retains heat longer than magnesium, which means that when the dies are heated on press, copper dies will have far less heat expansion. 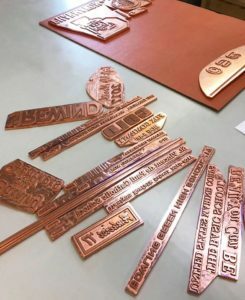 This is especially important when foil stamping on high-speed equipment, where the speed and action of the press are more likely to cool the temperature of the die. If stored properly, copper dies can be reused for long periods of time.